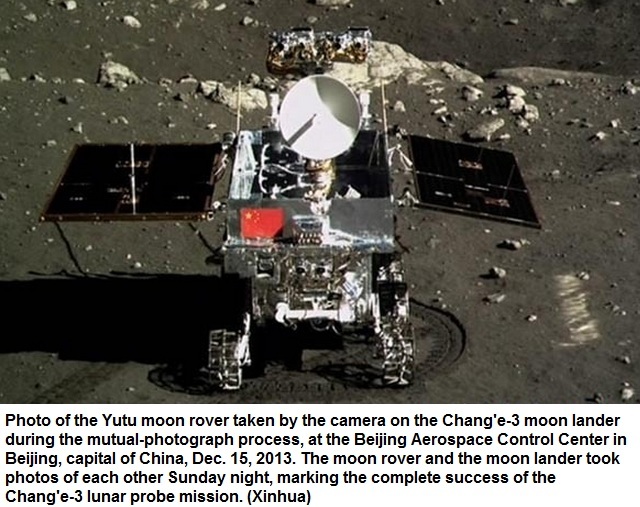 BEIJING- China’s first moon rover and lander took photos of each other on the moon’s surface Sunday night, a move that marks a complete success of the country’s Chang’e-3 lunar probe mission. The one-minute photographing came a day after the country completed its first lunar soft landing, the world’s first of the kind in nearly four decades. The last soft landing was carried out by the Soviet Union in 1976. 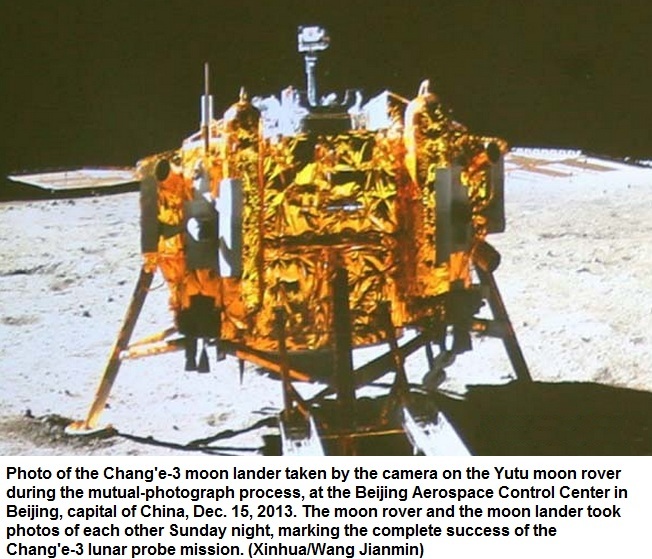 At about 11:42 p.m. Beijing Time, the six-wheeled Yutu, or Jade Rabbit, moved to a spot about 9 meters north to the lander and the photographing began. Chang’e-3 is part of the second phase of China’s lunar program, which includes orbiting, landing and returning to the Earth. It follows the success of the Chang’e-1 and Chang’e-2 missions in 2007 and 2010.